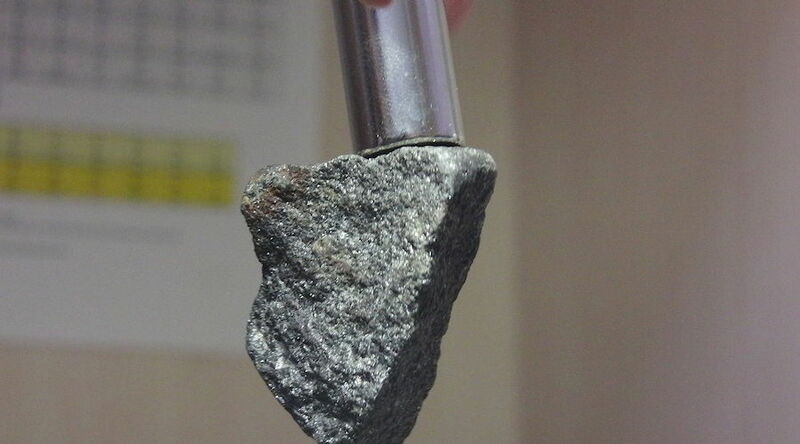 Magnetite sample with neodymium magnet. Photo from Wikimedia Commons. "The primary objective for our DoE project was to produce a concentrate containing a minimum of 2 per cent rare earth elements," Honaker said in a university press release. "We have far exceeded this objective." The groundbreaking process will be part of a one-fourth-tonnes per hour mobile rare earth recovery pilot scale plant being developed and tested by Honaker's team.